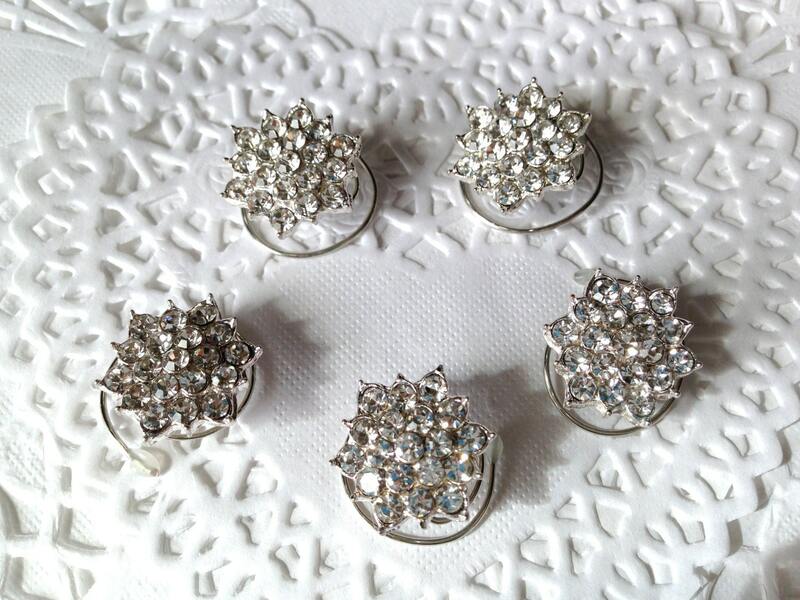 This is a gorgeous set of 5 Spectacular Hair Jewels. The picture does not do them justice. 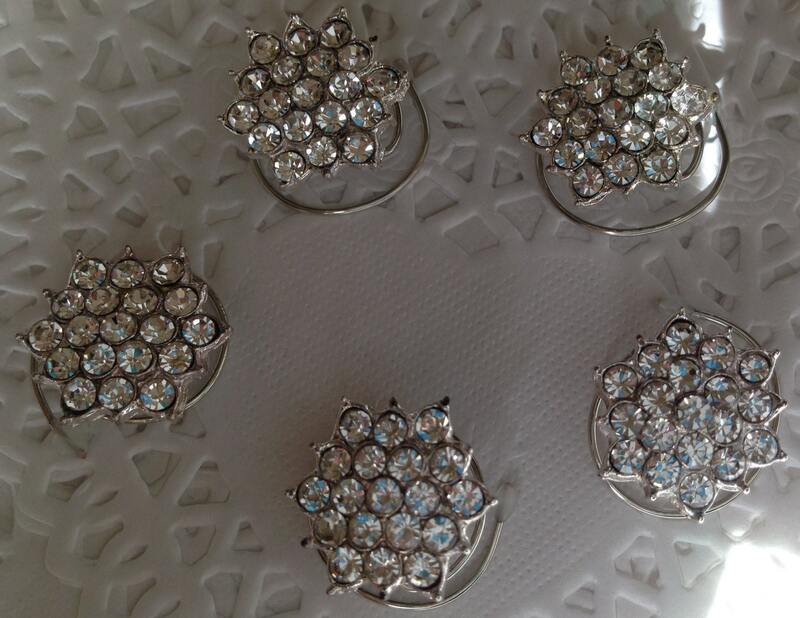 They will sparkle in your hair when light hits them. Each Hair Spin is about 3/4 of an inch in size. 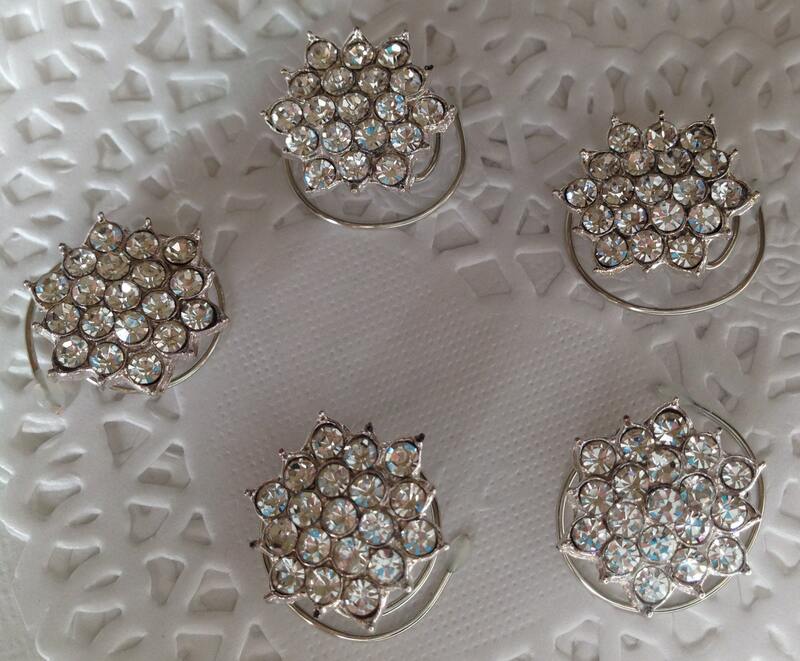 Each star shaped piece has 18 sparkling clear rhinestones set in a stunning silver tone setting. Each of these hair spins are slightly heavier than most of my hair swirls. I recommend you use them in an up do. 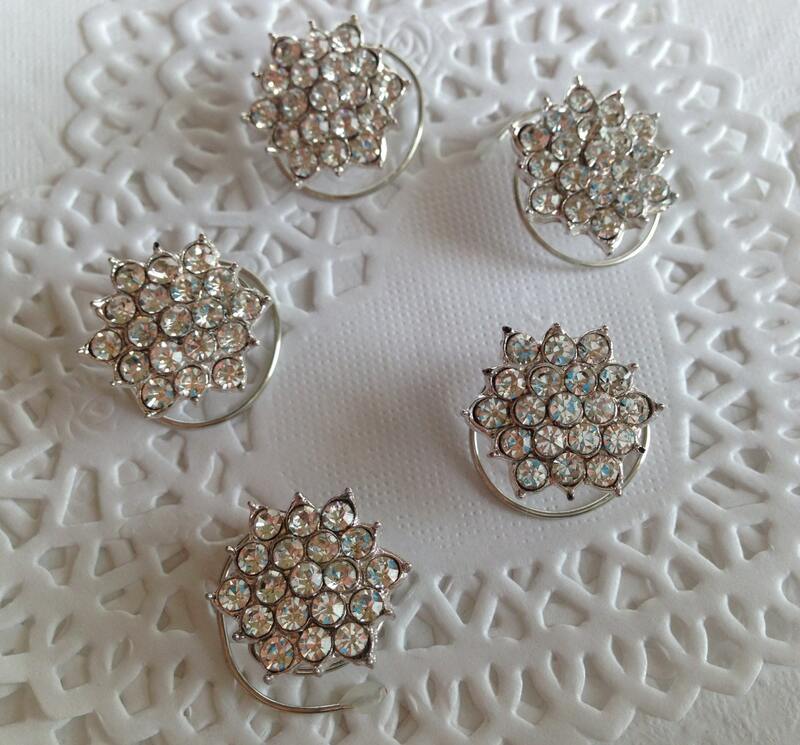 They would be perfect for the prom or a bridal party. The bride could wear them under her veil and when she takes off her veil at the reception she will still have beautiful hair pieces sparkling in her hair. Of course they can also be used in place of a veil as well. Bridesmaids will look wonderful in these hair Twists as well. 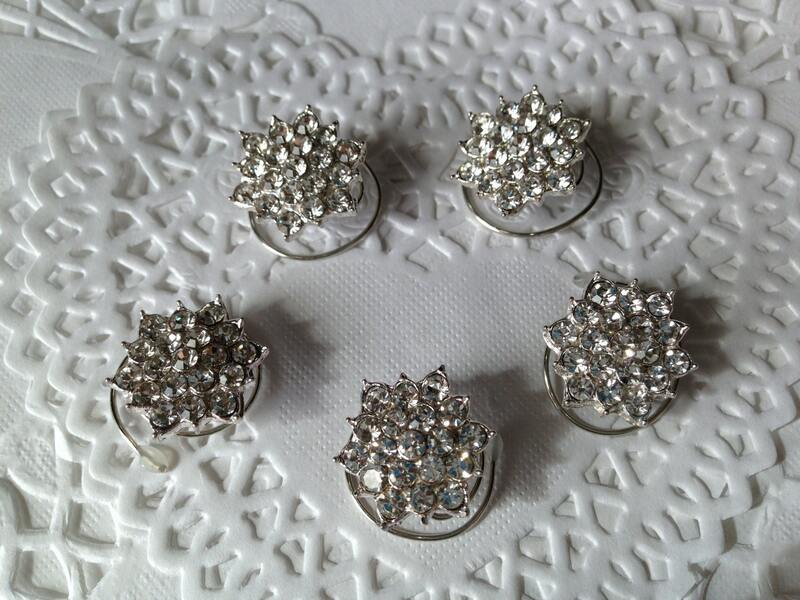 Amazing hair jewelry for ice skaters, gymnasts, ballerinas, Twirlers, ballroom dancers and debutantes.